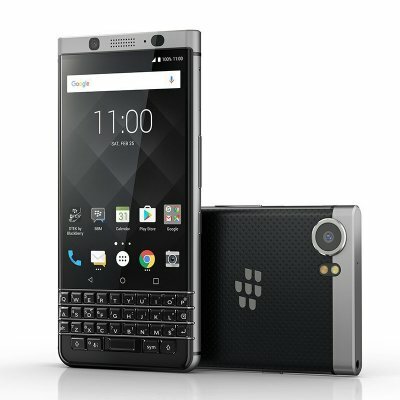 Successfully Added BlackBerry KEYone Phone - Android 7.0, Qwerty Keyboard, 4GB RAM, Security Featuers, 4G, 3505mAh Battery (Silver) to your Shopping Cart. With the KEYone smartphone, its clear BlackBerry means business. For starters, it has a Qwerty keyboard which takes typing on your phone to the next level. A business phone should be about productivity and ease of use and with the KEYone BlackBerry have nailed it! The full keyboard doubles as a trackpad so navigating, editing documents and getting things done is just so much easier. There are drawbacks to having a keyboard on your phone and that is a reduced screen size but to be honest you don't really notice this unless watching films or playing games. Both of which the phone does well but on a 4.5-inch screen rather than the larger screens of more mainstream phones. The screen is a full HD display that comes protected by Gorilla Glass for added durability. It has a bright image and good color rendition and with 433PPI you get clear sharp images. Powered by a Snapdragon 625 CPU and with 4GB of RAM this smartphone is fairly swift and can handle all the multitasking needs and demands of even the heaviest business users. It even performs remarkably well with graphics-rich games such as Asphalt 8. A large 3505mAh battery with this ergonomic setup means you're looking at well over a day's worth of usage from a single charge. When you do need to charge up the battery you'll be thankful for the USB type C port that increases charging speeds and gets you going again quickly. Supporting a good range of 4G bandwidths the phone can use the fasted data networks in most countries and thanks to dual-band Wi-Fi you'll get breakneck wireless connectivity a well. Running on an Android 7.0 OS and equipped with BlackBerrys advanced security features you'll be able to keep all your documents, contacts and data secure. The BlackBerry KEYone business phone comes with 12 months warranty, brought to you by the leader in electronic devices as well as wholesale Android phones..